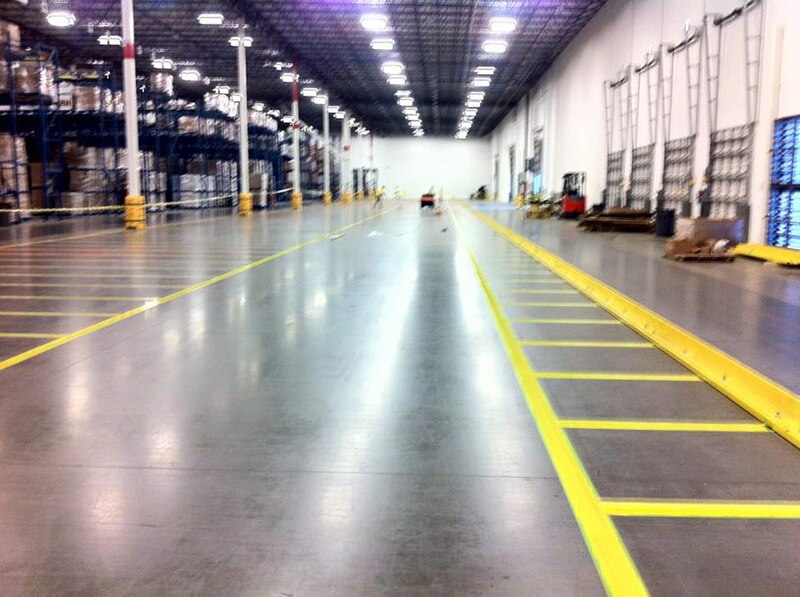 Many commercial and industrial facilities choose epoxy flooring due to its durability and cost savings. Epoxy floors are not a one size fits all. Depending on your needs and setting we can suggest the correct epoxy floor coating for your facility. It’s very important that your epoxy flooring be installed correctly to ensure the application holds up in a demanding environment; this requires a crew that has the knowledge, skills and equipment to get the industrial job done right. Performance Painting Contractors has the abilities and commitment to excellence to get the job done correctly, safely and efficiently. Epoxy flooring is very durable. They will remain firm and usable for quite a long time-some users would state the claim that they are practically indestructible. Easy to clean- as the flooring creates a non-porous and seamless surface. Epoxy floors resist stains and are easily cleaned with a broom, mop, squeegee, scrub brush - most cleaning devices. Slip-Safe. Epoxy floors are not slippery by nature and can be made extra safe by applying a non-slip additive. Pleasing to the eye. With a vast array of color and texture options, epoxy flooring can be light or dark, variegated or uniform. Proper installation of epoxy flooring by a skilled professional can be very versatile. Epoxy flooring is often applied to wood, concrete, VCT, tile and various other industrial and commercial floors. Epoxy Floors can be a great solution, but if the special coating is not applied properly, it can create headaches for the future. Don’t risk your floors to just anyone, Performance Painting Contractors gets it done right.